You spend a lot of time to make your PC perfect. 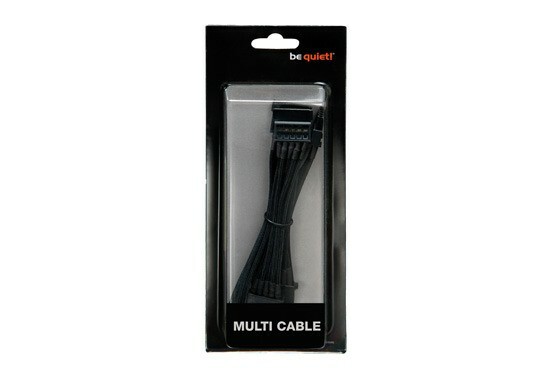 You’ve upgraded it for top performance, ultimate quietness, and unbeatable reliability. So what’s next? Our premium upgrade Power Cables, that’s what’s next. High quality, premium function, and flat out good looks come together in our line of premium Power Cables, intended for use with your high capacity be quiet! cable management power supply. These sleeved beauties in black are available in 2 All-in-One-models for maximum convenience and compatibility with all type of cases, and come with a 3 year warranty. Mix and match lengths and connector arrays to achieve the perfect combination of stylish good looks, improved cooling airflow, and peripheral device support.